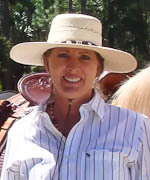 Denise Shirey grew up in the Amish countryside of Lancaster, Pennsylvania, where the horse culture of the region had a strong influence on her. Since the day she was given her first pony; a little brown mare, her passion has been horses. 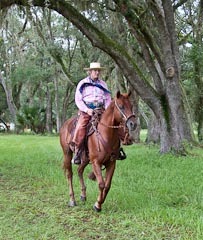 After years of being horse-less, she got back into the saddle again at age 40. 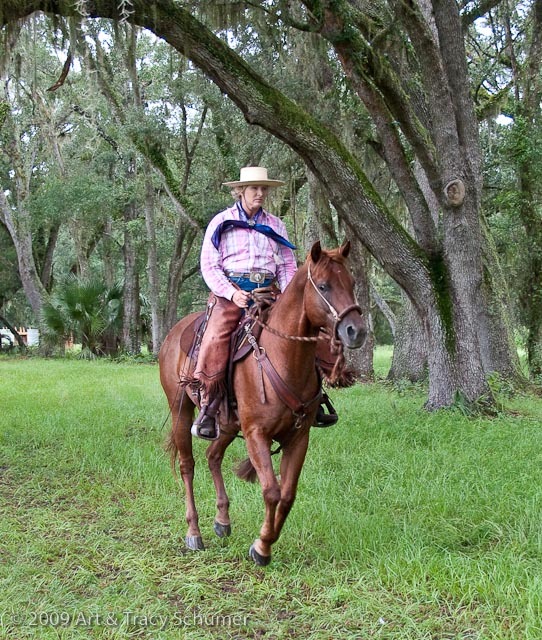 Eleven years later, “Miss Denise” lives on the small farm she built herself in the rural community of Pierson, Florida. She can usually be found honing her skills in the patient art of riding in the traditional hackamore. In her spare time she competes in team sorting, obstacle challenge, rides the trails, camps out and rides turn-back for the local cutting horse trainer. She enjoys meeting, learning from and riding with as many trainers and clinicians as she can. During the day, she puts her two Masters Degrees to work as a Contracts professional in the Electronics Manufacturing services industry.